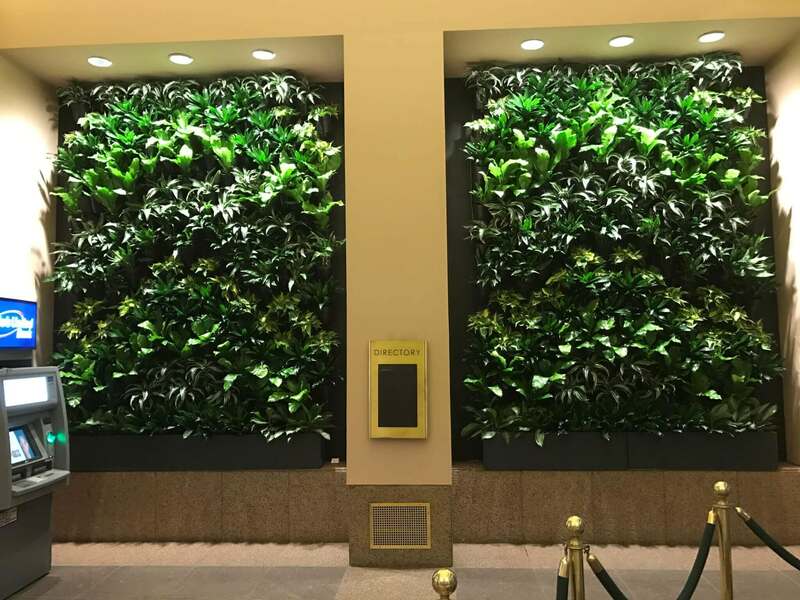 Green Walls – Atria, Inc. 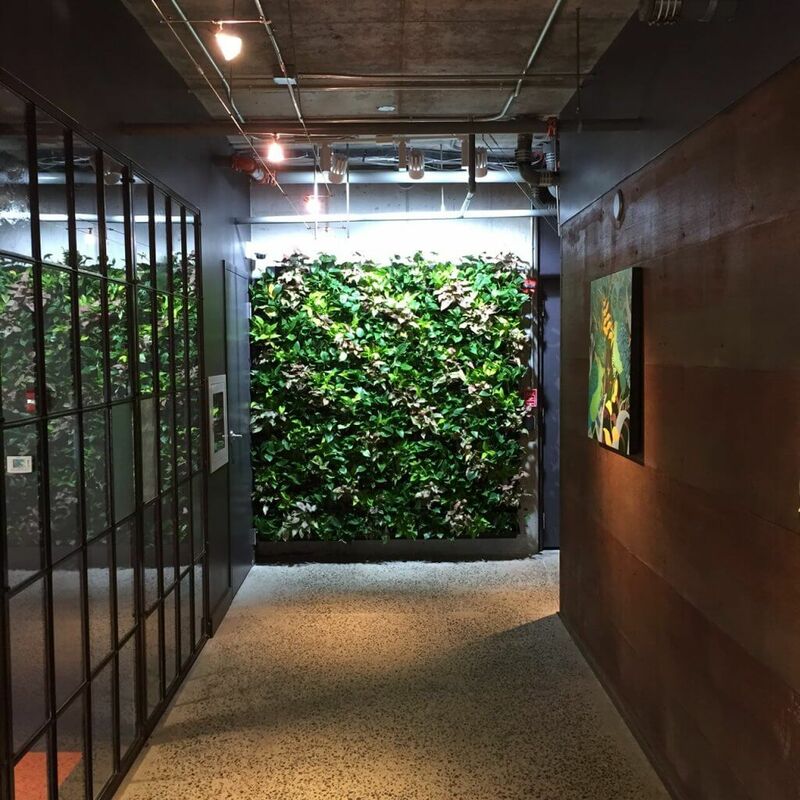 The interiorscape industry has always been creative and innovative. In today’s challenging economy office floor space is more valuable and expansive than ever. 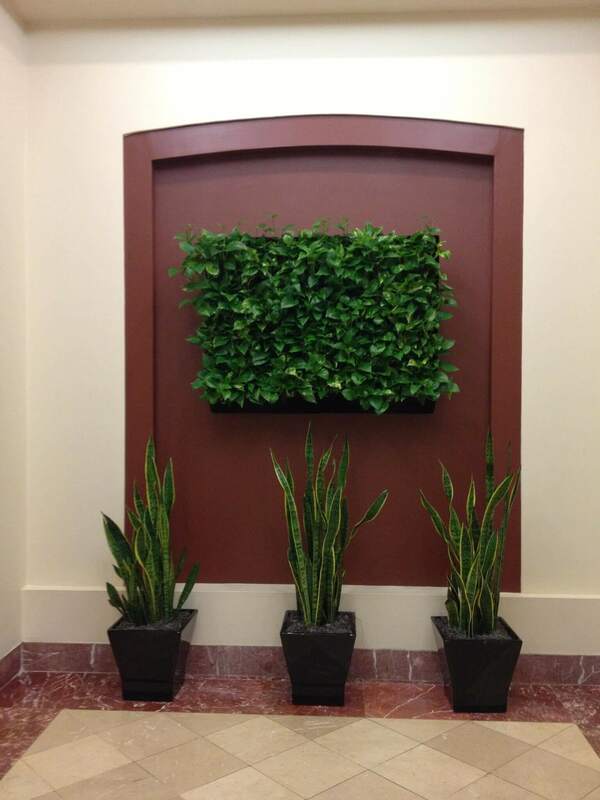 In response we now offer indoor vertical plantings or green walls. 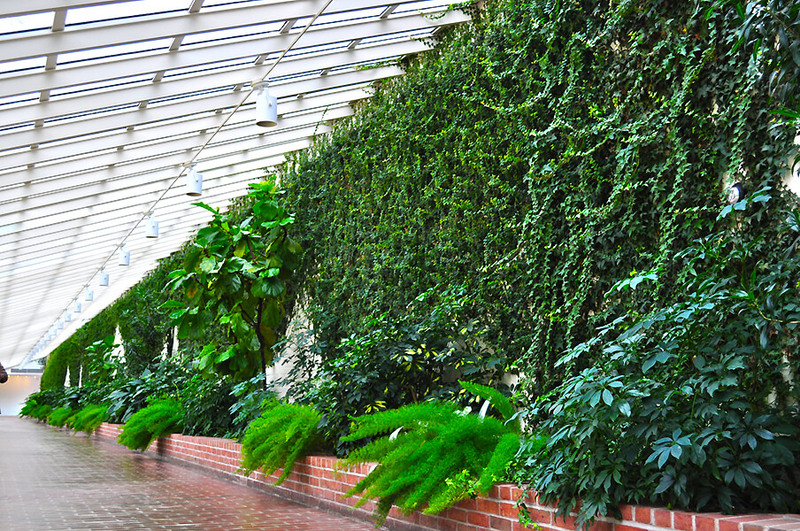 They require a fraction of the square footage of floor plants. They are unique, smart and sustainable. 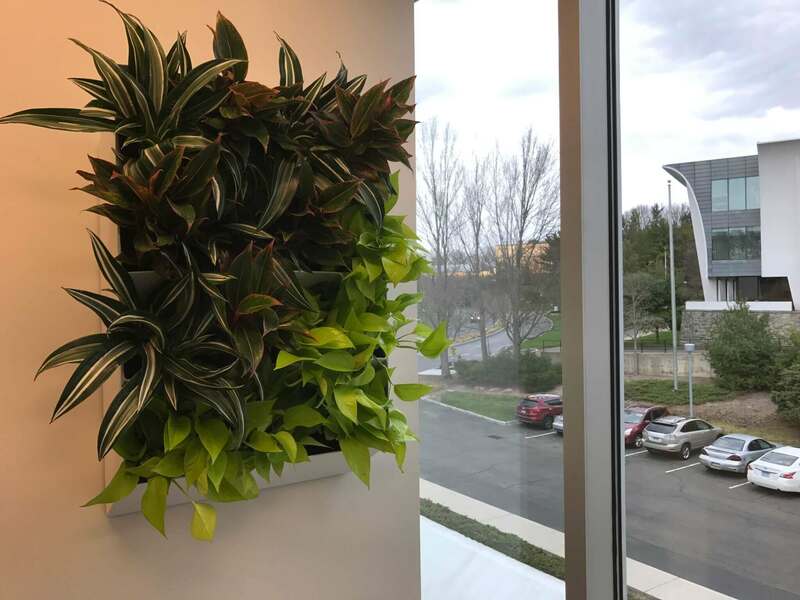 Designed for maximum biofiltration of indoor air, acoustical separation, thermal regulation and striking aesthetics they are essentially living works of art. 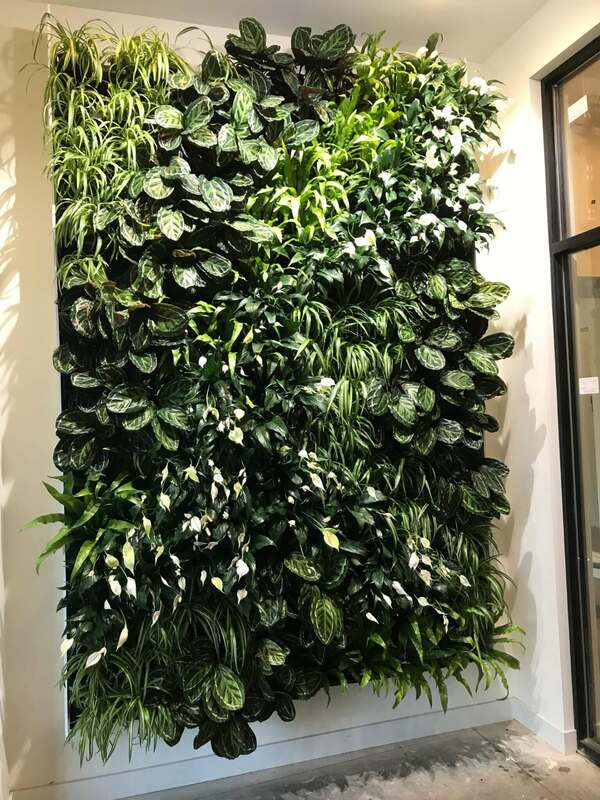 From large scale lobbies to more intimate office settings, an interior green wall will create a striking focal point in your space. 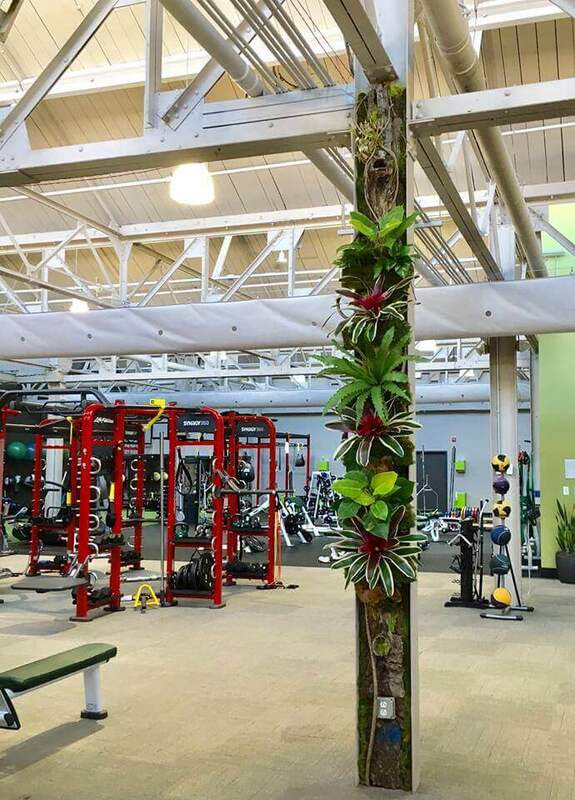 Grow vertical! Create a healthy, functional space without compromising valuable floor area. There are also visual marketing opportunities as your logo may be incorporated into the design. With a variety of styles, designs and applications the possibilities are endless! 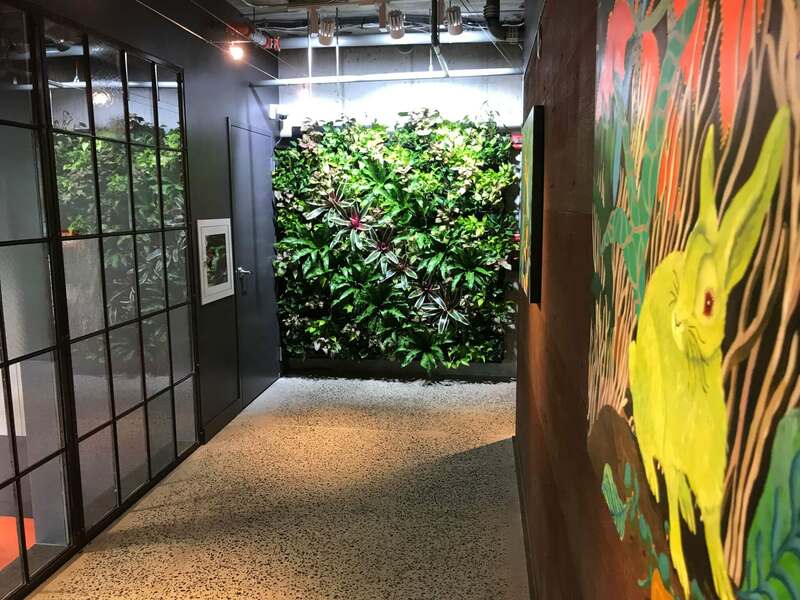 The addition of an interior green wall is undoubtedly the strongest, most visible statement a building owner can make about a commitment to sustainability and to improving the indoor environment for their occupants. 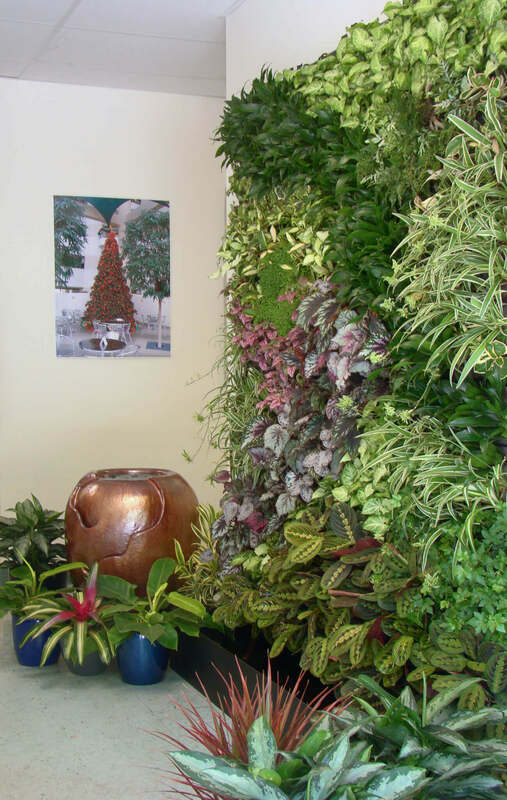 Contact us today to learn more about the green wall products we offer, or to set up an appointment for a design consultation. 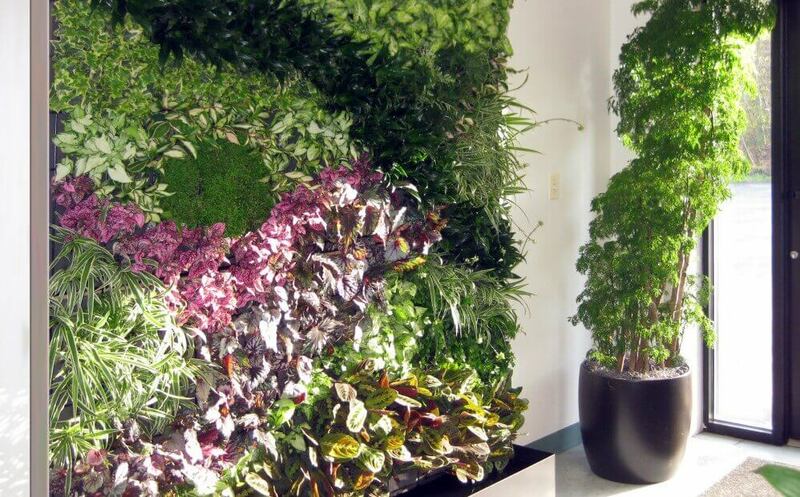 Transform any vertical surface into a lush and strikingly beautiful garden. 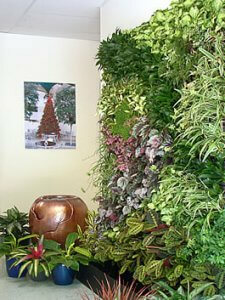 We have a variety of green wall products to choose from! Contact Atria today to set up a design consultation. Click any image to view an enlarged version. You can back up advance through all the images simply by clicking anywhere on the left or right side of the image and selecting the navigation arrows.